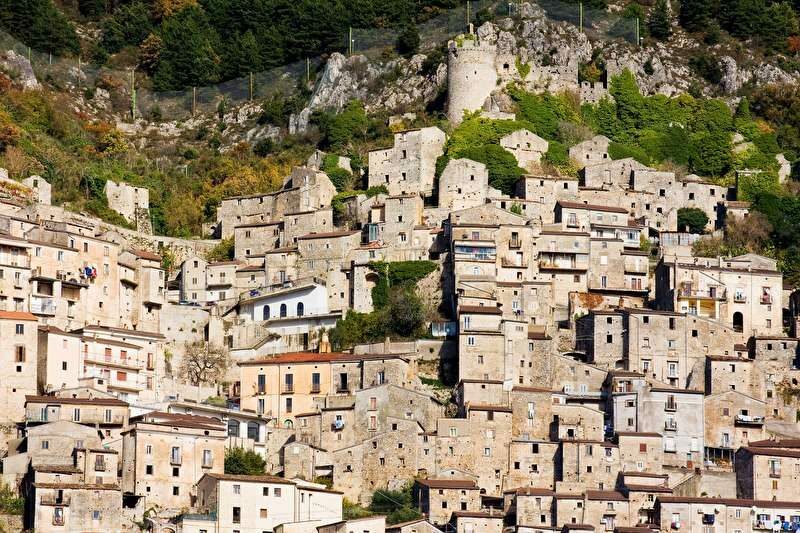 Castelpetroso is a tiny borgo, surrounded by a mosaic of small hamlets perched in the hills of Molise. 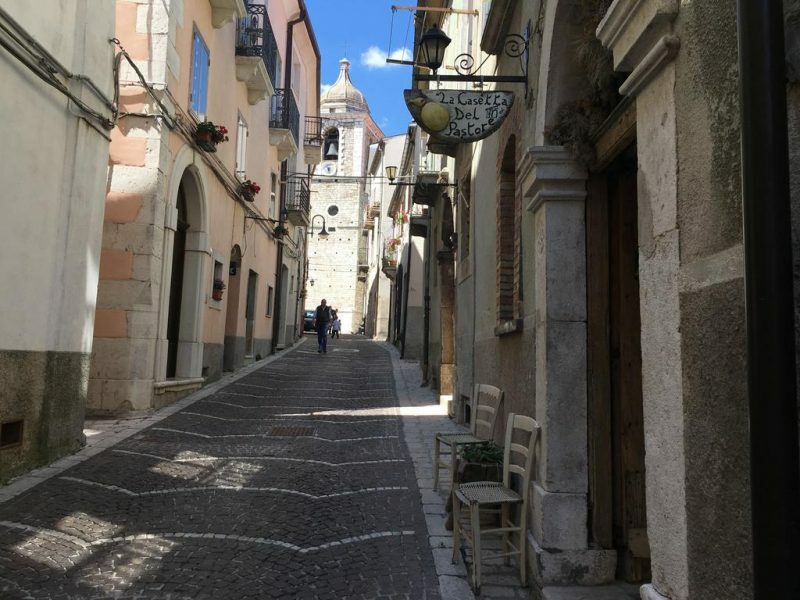 The charm of this village is enclosed in a fascinating maze of ancient stone lanes that lead to the little squares of the historical center, overlooked by its Lombard castle. Castelpetroso is a Medieval village that has chosen to share its memories with the new generations through a very special gift: the ‘Museo della Civiltà Contadina’ (the Museum of Agricultural Civilizations). 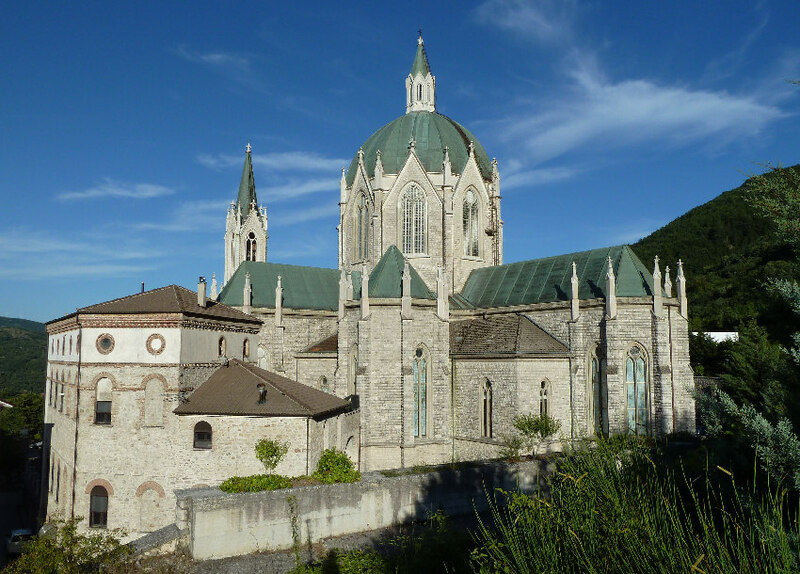 Not far from Castelpetroso’s rocky hills lies a mystical treasure, the Sanctuario di Santissima Addolorata (the Sanctuary of Our Lady of Sorrows), a place of such enchantment and delicate grace that it seems to be straight out of a fairytale. Even Italians can hardly believe this place is in Italy, or that such a wonder could exist only a few miles from home. Very little is known about the origins of Castelpetroso. 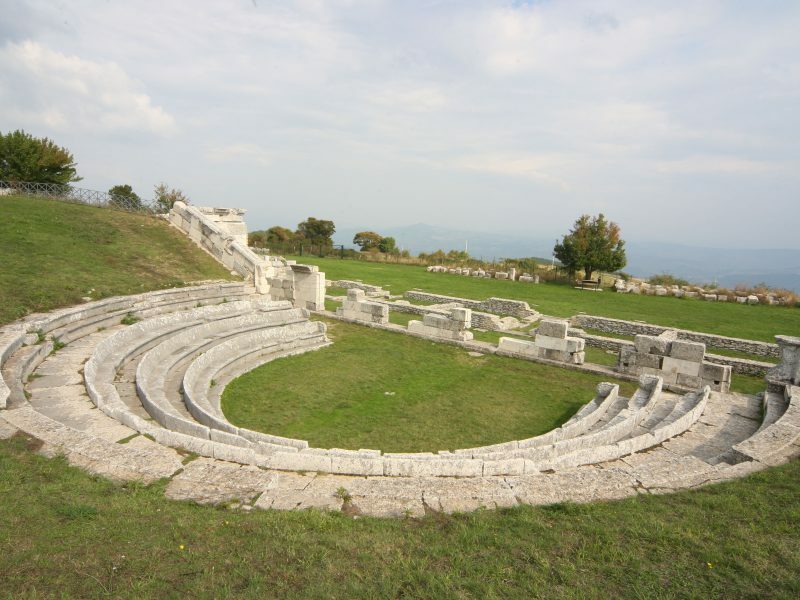 The Colle Petroso (the rocky hill), was a strategic point for the ancient Samnite people, who established a military outpost here. The first trace of Castrum Petrosum dates back to the year 1000, when the Lombards built a fortress here, its square layout reflecting the Norman architectural style. the nearby hamlets of Indiprete, Guasto, Pastena, Casale e Camere. In 1888, the existence of this little mountain village was changed forever: one night in March, two shepherdesses found themselves before a vision of the Madonna and Jesus Christ. From that moment on, Castelpetroso has been a place of pilgrimage, described as the “Italian Lourdes” by the Italian newspaper, ‘La Stampa’. It was March 22, 1888, and the threshold of Spring had just been crossed. The weather was not the best that day. It had rained several times, and even though the sun occasionally peeked out from behind the clouds, it was still cold and the wind ruffled through people’s and hair and clothing. That day, Fabiana Cecchino and Serafina Valentino had taken the herd out to pasture as they always did, but unfortunately, two sheep had gone missing. The girls looked for them all afternoon, despite the bad weather, and they kept searching even after darkness fell. Fabiana and Valentina made their living off the land, and losing two sheep meant losing two important resources. Finally, when the night was pitch black and it had begun raining again, the shepherdesses decided to go home, when suddenly, they saw a glowing light in the rocks. There was a rumble of thunder in the distance, so they assumed they had just seen some lightening and thought no more of it. But the shimmering glow remained, filtering through the rocks, and overcome by curiosity, the girls decided to investigate. When they got close, they couldn’t believe their eyes: there before them was the Madonna, holding the bleeding body of Christ in her arms. Fabiana e Serafina began to run as fast as they could, taking the shortest route back to town, bursting to tell everyone what they had seen. The news ran like a shock through the little borgo, and for days there was talk of nothing else. From that day on, the place where the Madonna had been seen became a constantly frequented place of pilgrimage. Because of this, despite the controversy, the decision was made to build a sanctuary in honor of the Madonna. Donations for the initiative came from all over, and on September 28, 1890, the first stone was laid. Many obstacles stood in the way of construction, especially regarding economical resources, which initially poured in from every direction, and then slowed to a mere trickle. So slow, in fact, that the sanctuary was completed almost a century later, in 1975, when it finally became a place of pilgrimage again. There are many stories told about this sacred place. It is said that on the day of the inauguration, a young man fell from a nearby cliff, and that a stone fell on the head of someone else, but that both remained completely unharmed. and after he drank, he was miraculously healed. Still today, the sanctuary is an important place of pilgrimage, and its majestic beauty emanates a mystical and authentic spirituality. The Basilica Santuario di Maria Santissima Addolorata is located in the area of Cesa Tra Santi. Its construction began in 1890, and the direction and design of the building was entrusted to the engineer Guarlandi from Bologna. 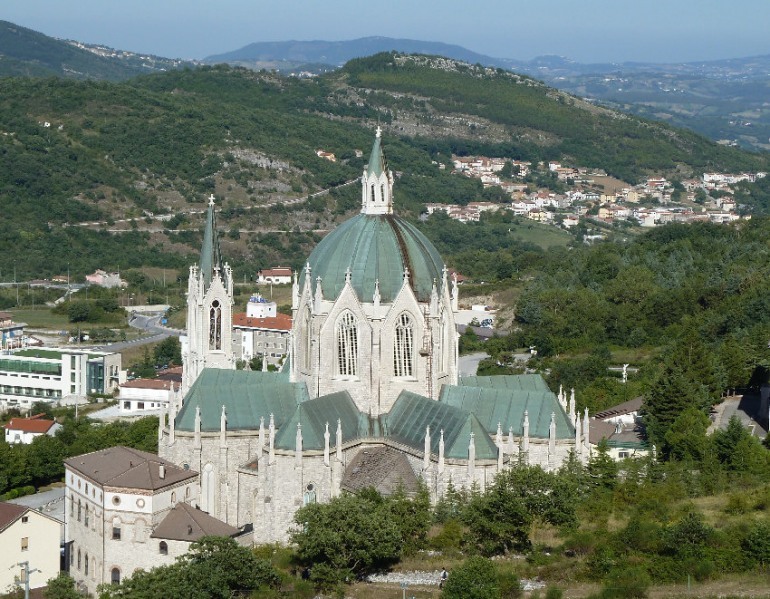 Eighty-five years after the foundation stone was laid, the Basilica was opened for worship in 1975, a magnificent and imposing church in neo-Gothic style, rising majestically from the rocks. The structure is dominated by a central dome fifty-two meters high, surrounded by seven smaller cupolas, which represent the seven sorrows of Mary. The façade is divided in three parts by pillars, decorated with lilies. The façade ends with three entry portals, characterized by beautiful mosaics created by local stone masters. Once inside, the main cupola is again what captures and delights the eye, with its forty-eight mosaics in glass, depicting the patron saints of the diocese of Molise. The main chapel is situated on a raised floor, and the interior is decorated with polychrome marble, dominated by an aedicule, or throne, in marble, with a representation of the girls’ vision of the Madonna and her son, entitled Maria Santissima Addolorata di Castelpetroso: two magnificently carved wooden statues depicting the Virgin Mary on her knees holding the body of Christ, restored in 1963 after an electrical fire. La Basilica di Castelpetroso is one of the most evocative places in Italy, hidden from the clamor of modern life and lovingly protected by its citizens, it a sacred place of peace and serenity, to be visited at least once in a lifetime. Between the ninth and the tenth centuries, the Lombards constructed a fortress on Colle Petroso, in a strategic point which is historically famous for being the military outpost of the Samnites. Over the centuries, the castle was sold numerous times, passing into the hands of various noble lords. Today, very little remains of the original structure: the square layout of Norman influence, the right area which was probably the ‘keep’ or ‘mastio’ and two rooms on the ground floor which have remained unaltered. For some years now, the schools of Castelpetroso have launched an important project centered around the castle which involves the entire community, and which has become an integral part of the urban social life of the borgo: inside the castle they have established the Museo della Civiltà Contadina, established thanks to the commitment of the students and all the citizens of Castelpetroso, who have donated their traditional, antique objects to be exhibited in the museum. The exhibition is a continual work in progress, defined by the students themselves as a “historical research laboratory”. Scenes from agricultural daily life in the past have been recreated in various rooms of the castle, with every object cataloged by name, use, and owner’s name. Everything is considered useful for the exhibition: from small objects, such as writing materials, the first cameras ever produced, antique prints, and also the letters home from emigrants, saved from dust behind glass display cases. The most important and characteristic piece in the museum is an artistic representation of the Nativity Scene, made in the 1500’s. It is a one-of-a-kind jewel of craftsmanship: portraying classic moments of the Nativity story in the traditional settings of Molise, complete with traditional costumes and agricultural tools and activities. 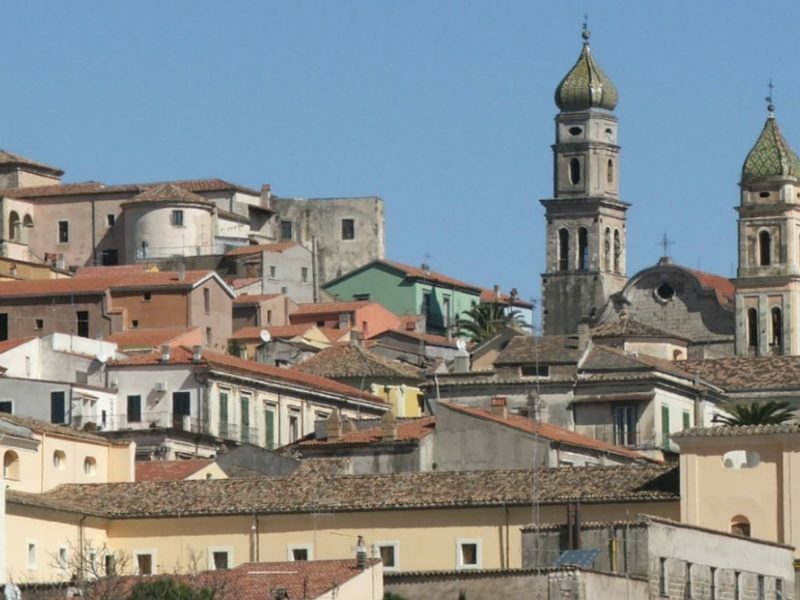 Instead of the mountains of Nazareth, in the background there are glimpses of some of the most beautiful landscapes of Molise; the shepherds and even Mary and Joseph are wearing traditional local costumes, in a manger that resembles the little houses of Castelpetroso. The aim of the museum project is as simple as it is important: to bring history to life through concrete examples and testimonies, and to entrust the new generations with the immense heritage of their past, inspiring them to become custodians of their historical and cultural roots. Indiprete is Castelpetroso’s largest hamlet. It has about nine hundred inhabitants, and because the main village was constructed in an area full of rocks and boulders, it was named ‘Indeprete’, which means ‘inside the rocks’ in local dialect. The foundation of Indeprete is linked to an ancient story. It is said that one day, three brothers passed by this place, carrying a painting of the ‘Madonna della Libera with Sant’Antonio Abate and San Bernadino da Siena’. The three young men were probably headed toward Puglia, and tired from their journey, decided to stop and rest for the night. The next day, when they were ready to leave, a supernatural force seemed to keep the painting from being taken away, so they decided to settle there and construct a chapel in honor of the Madonna, the first construction in what would become the borgo of Indiprete. 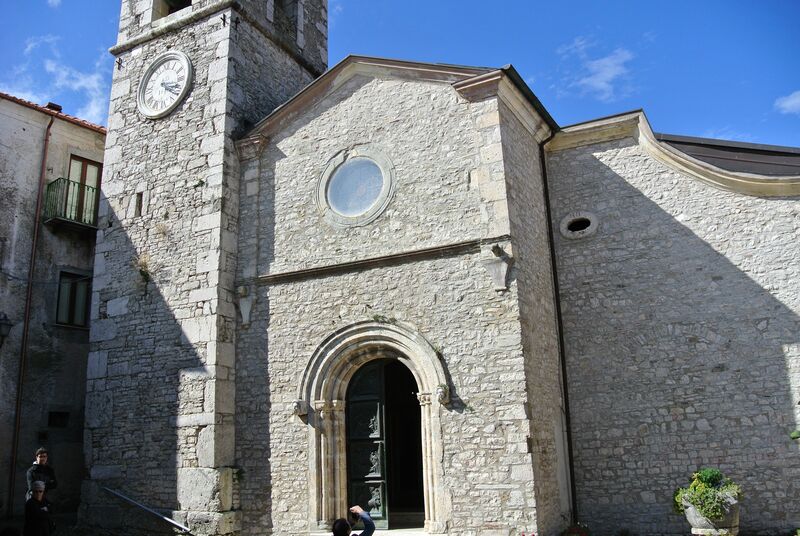 As the years passed, the cult of the Madonna della Libera became ever more popular in the community and so the citizens decided to build a bigger sanctuary: in 1834 the Church of the Madonna della Libera was inaugurated. The popular devotion of the community to their Madonna continued to flourish over time, with the townspeople donating numerous paintings to decorate the interior of the church. Perhaps they are not great works of art, but they contribute to the sense of peace and religious devotion in the church. More importantly, the church still safeguards the legendary original painting of the Madonna della Libera, with the Virgin on high demonstrating the sign of the cross with Sant’Antonio in his hermit’s cloak and San Bernadino in his Franciscan habit kneeling below her in adoration. On the wall of the church a marble plaque commemorates the miraculous event of the ‘immovable painting’.